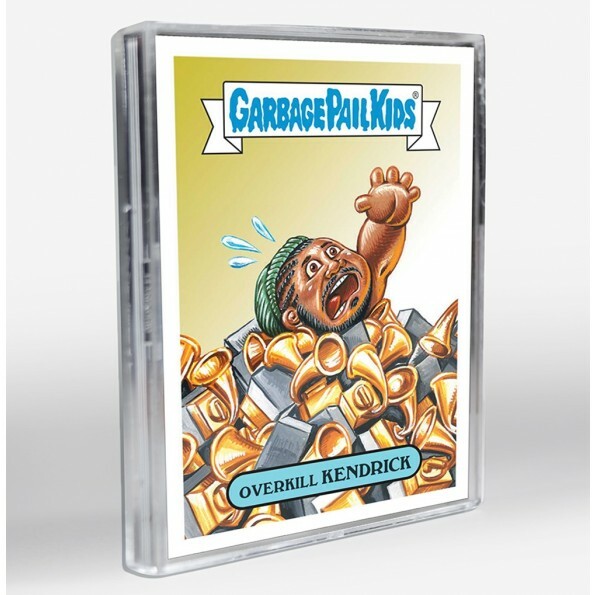 As the awards season continues, so does the online GPK sets. The latest set was based on this year’s Grammy awards. Today Topps revealed the print run for 2018 Garbage Pail Kids The Shammy Awards online set. Topps missed offering the set prior to the awards show, and instead sold it the week after. While many collectors will come out for the holiday themed sets, there is a lukewarm response to the awards sets. The Shammys was much the same as the total print run for the set hit 120 copies. This is the lowest online print run in the last few months, since the final award set of 2017. Topps is sure to have more awards themed sets in the way. However with Valentine’s Day next week, will Topps show GPK collectors some love?